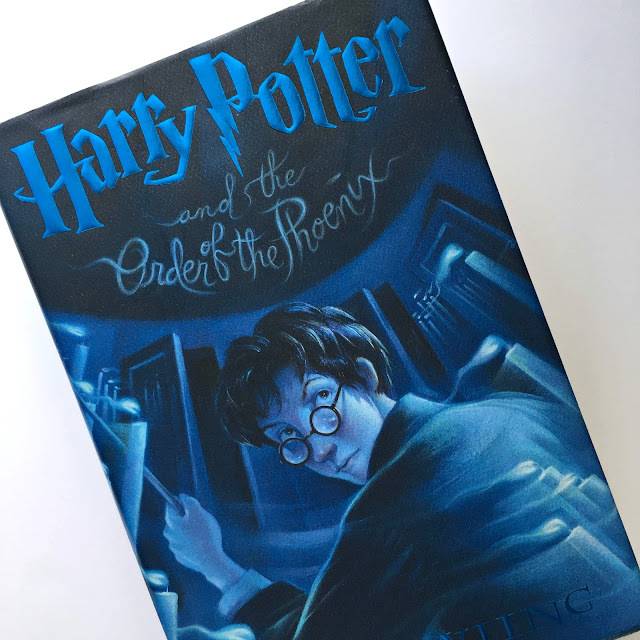 I'm going to jump into my review of Harry Potter and the Order of the Phoenix straightaway with four favorite quotes before I give some thoughts on my mixed feelings about the book as a whole. (1) Dumbledore's advice to Harry: “Indifference and neglect often do much more damage than outright dislike.” As with so many of Dumbledore's words of advice, this statement applies to so many situations: bullying, friendship, forgiveness, relationships in general, politics, and on and on. (2) Dumbledore's guilty confession to Harry: “Youth can not know how age thinks and feels. 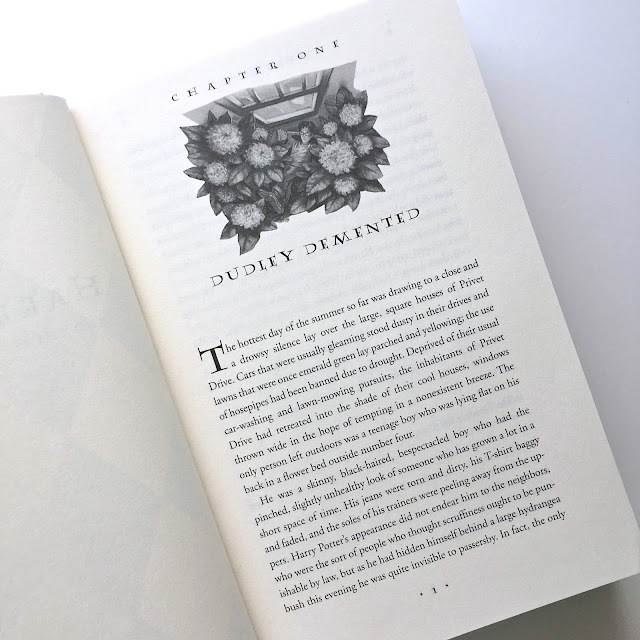 But old men are guilty if they forget what it was to be young.” Even though Harry's being quite a pill, he's justified in his frustrations with Dumbledore--Dumbledore does avoid and detach himself from Harry through much of this novel in order to keep the separation from Voldemort as clear-cut as possible. When Harry throws his tantrum, Dumbledore keeps his cool but expresses some regret and apologizes for not divulging everything to Harry. In part, Harry wouldn't have been ready for those words (the revelation about the prophecy is such a huge burden for Harry to carry), but Dumbledore is right that Harry needs to hear it and he needs to hear it all now. Knowing when you've made a misstep and being willing to own it shows Dumbledore's maturity. I don't believe that Harry actually ever apologizes for destroying Dumbledore's possessions. (3) The cruelty of Dolores Umbridge etched into Harry's skin: "I must not tell lies." Just wretched. I wonder if Harry had told Dumbledore about Umbridge's corporeal punishment if anything would have changed at Hogwarts? The Ministry had such a strong grip on education there that I wonder if it would have just forced Dumbledore out of his office even earlier. I've seen people with this tattoo and I wonder what exactly they're attempting to tribute or remember with it? That Umbridge is a cow? That sometimes you're punished in unfair and cruel ways? That they are like Harry? That they truly must not tell lies? I'm not sure, but I admire Harry's grit in bearing through detention after detention as best he can. Perhaps he could have lessened the number of detentions by behaving more, but as many of his outbursts are his attempt to defend Cedric's memory and testify to Voldemort's existence you cannot blame him. (4) Fred's parting words to Peeves as he and George ditch Umbridge and Hogwarts on their broomsticks: “Give her hell from us, Peeves.” And some of you thought it was impossible to tell Fred from George! I'm telling you when you reread the series, they are slightly different and Fred is completely awesome here. Yes, they are both joyful troublemakers but this line from Fred is entirely fantastic. Remember in Harry Potter and the Prisoner of Azkaban when Hermoine slaps Draco after a Care of Magical Creatures lesson? While I don't want to promote violence, I have to admit my jawed dropped at that bit of her sass. I feel like it would have been equally merited for Hermoine, Ron, McGonagall, or anyone for in the beginning of this book to push back against Harry's constant tantrums. People will hate me for saying that and I get it: Harry's in mourning for Cedric, he's confused, he's a teenager, he's frustrated and burdened, etc. I don't believe, however, that any of those reasons are excuses for behaving like a total git all of the time to the people who love you. He repeatedly yells at Ron and Hermoine and lashes out at them as if they're complete jerks, when in fact they're doing as much as they can to support him. Even though I read the book in silence, Harry's constant yelling makes my ears hurt. That being said, once you get past that section of the series, the book picks up when Hermoine suggests that the students form Dumbledore's Army. Their meetings in the Room of Requirement are such a wonderful way of using their time to better their skills in fighting Voldemort. I really enjoy these scenes and particularly love Neville and Luna inclusion. Plus, how can you not love a novel that has Fred and George's booming business, their grand exit, the revelation of the prophecy, students uniting to fight against Death Eaters, and seeing into the Department of Mysteries? What do you love about Harry Potter and the Order of the Phoenix? Is Harry's relationship with Cho entertaining or a complete waste of his time? Isn't it nice to see Ginny become more confident and independent? [Spoiler alert] Did Sirius' death make you cry or are you made of tougher stuff than I am?